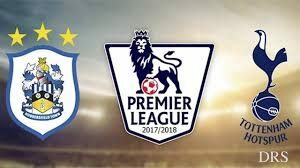 Huddersfield Town welcomes Tottenham Hotspur in a game from the 7th round of the English Premier League. Let’s see what’s going on with these two teams since the start of the season. Huddersfield Town are currently at the last 20th place in the Premier League with just 2 points won so far. They have a record of 2 draws and 4 losses in 6 games played. They have scored just 3 goals and conceded 14, which explains their position in the standings. Huddersfield have lost their last two games against Crystal Palace and Leicester. Before this they made two consecutive draws against Cardiff City and Everton, winning their only points since the start of the campaign. In the previous round David Wagner’s team suffered a 1-3 loss against Leicester at the King Power Stadium. Matthias Jorgensen opened the score for Huddersfield after just 5 minutes of play, but the Foxes managed to turn the game around with three goals until the end of the match. Tottenham are a whole different deal, of course. Right now Spurs are 5th in the standings with 12 points won and a record of 4 wins and 2 loss. The two consecutive defeats against Watford and Liverpool were dissapointing, but Spurs managed to bounce back with a 2-1 win against Brighton & Hove Albion in the previous round. Harry Kane from a penalty kick and Erik Lamela scored for Mauricio Pochettino’s team. Against Huddersfield Tottenham can’t rely on the injured Vincent Janssen, while Serge Aurier and Hugo Lloris are doubtful with injuries. That’s what happening with Huddersfield Town and Tottenham Hotspur before their game at the John Smith’s Stadium in Huddersfield. Spurs are the favourite here, of course. They are a much better team and they are aiming to return to the Top 4.